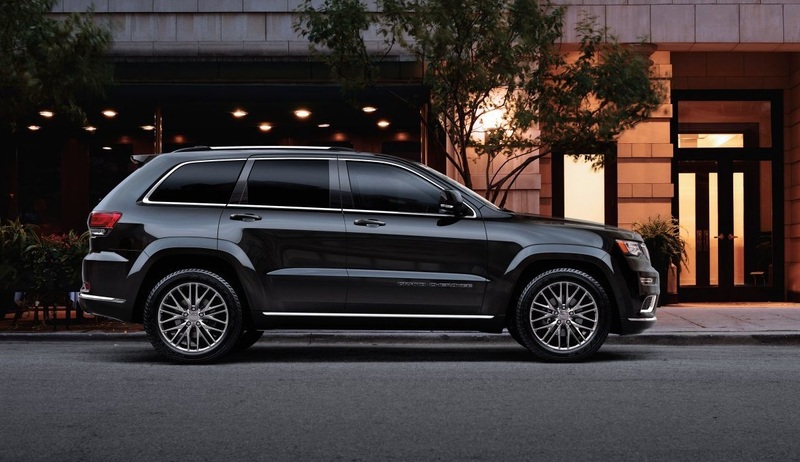 Every Grand Cherokee owner knows the thrill of owning one of the most prestigious off-road vehicles available today. These monsters are designed to take you to the pinnacle of any mountain and bring you home safely again. Come down to our dealership and check out the latest model, and you’ll be able to become part of an exclusive club that caters to your outdoor needs. The 2018 Jeep Grand Cherokee is available to our customers to take home today. Enjoy our Denver Buyers Guide and contact our dealership to save at Pollard Jeep. Wheel options make your journey more dependable and tailored to the type of driving you encounter. This vehicle comes with 17-inch aluminum wheels, the option of getting 18-inch aluminum wheels and even 20-inch wheel options. There is also the possibility of getting a steel spare wheel to give you a sturdy and reliable way to get your vehicle back up and running in the event of a flat tire. Get in touch with us and let us know your needs, and we will help you get an incredible level of style and class. 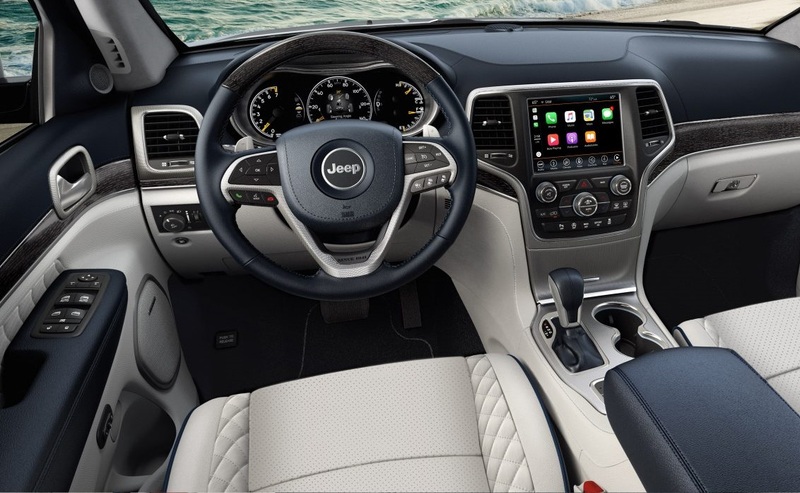 This vehicle is designed to provide you smart features like a tire pressure monitoring display, smart external lighting and exterior style that will have you The 2018 Jeep Grand Cherokee is available to our customers to take home today. Enjoy our Denver Buyers Guide and contact our dealership to save at Pollard Jeep. Come down and get to know the inner beauty of this incredible vehicle. You’ll love the way this vehicle equips you with premium audio, exceptional comfort and smart interior features that are designed to make your trip more enjoyable than ever before. Laguna leather seating, Apple CarPlay, Android Auto and SiriusXM Guardian are designed to provide you with an exceptional level of sonic bliss. A personalized instrument panel and smart dashboard relays are waiting for you in one incredible slick and personalized interior package. You’ll also love the ambient lighting that is designed to provide you with a healthy atmosphere that gives you the perfect illumination at all hours of the day. Never be left in the dark with a smart navigation system and exceptional voice-activated controls that let you communicate effectively while driving. The 2018 Jeep Grand Cherokee near Denver is available for Jeep lovers at our dealership serving Boulder Longmont Thornton Denver buyers. Dynamic off-road performance makes this one of the most exceptional vehicles available on the road. You’ll love the optional front-suspension skid plate, the Quadra-lift air suspension and the transfer case skid plate that serves to protect the most important components of your vehicle. Come down and explore the 26.2-degree approach angle, the 19-degree breakover angle, and the 24-degree departure angle that helps you get in and out of rocky situations more easily. With a minimum standard towing capacity of 3,500 pounds, you’ll be ready to tow most anything with this incredibly capable vehicle. The 2018 Jeep Grand Cherokee near Denver is available for Jeep lovers at our dealership serving Boulder Longmont Thornton Denver buyers. The engine options are available in a 3-liter V6 EcoDiesel engine, a 3.6-liter V6 24-Valve VVT engine and a 5.7-liter HEMI V8 engine. You can also get even more power and performance with the 6.2-liter V8 Supercharged engine or the 6.4-liter HEMI V8 engine The choice is yours, but you’ll also be happy to know that all engines come with the smart stop-start dual battery system. The 2018 Jeep Grand Cherokee is available to our customers to take home today. 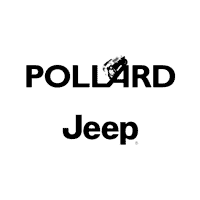 Enjoy our Denver Buyers Guide and contact our dealership to save at Pollard Jeep. Additionally, there is an 8-speed automatic transmission option and a transmission heater to help you get going on your way. No matter what engine you decide to go with, you’ll have incredible power and control on all kinds of terrain. When it comes to safety, you’ll be well-protected in this vehicle. Enjoy the four-wheel traction control and active head restraints that help keep you stable and protect you in the event of an evasive situation. The vehicle also comes with adaptive cruise control with stop and advanced leather-covered multistage front airbags. Blind-spot and cross-path protection are available as optional components, and you’ll feel well-protected when you go with the full-suite of autonomous features that help keep you safe. Electronic stability control and an enhanced accident response system is designed to keep you protected before and after the event of an accident. Come down and explore all of the safety features at our dealership so that you can select the vehicle with the options that make the most sense for your situation. The 2018 Jeep Grand Cherokee near Denver is available for Jeep lovers at our dealership serving Boulder Longmont Thornton Denver buyers. Give us a call, stop by or go online to learn more about our incredible vehicles. We are here to help you get the most from your vehicle purchase, and we want to help you work out a financing package that saves you money. When you trust our dealership with your vehicle purchase, we will work hard to help you get the options and financing you need. Get in touch with us so that we can help you select the best vehicle for your situation.